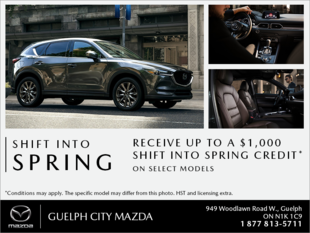 We've been buying from Guelph City Mazda for almost 10 years now and continue to be impressed with their sales team, their culture and their cars. The staff truly care for their customers. We just purchased another Mazda 3 this weekend and had yet another great experience. We'll continue recommending to others - this is a dealership you can trust.